Wow !!! Nokia is really getting hot with their Lumia Smartphones and we all know that Their Lumia 920 Smartphone has been one of the most popular smartphones in recent times. Can you imagine The Nokia Lumia 920 managed to show up in Jennifer Lopez's latest music video Live It Up ft. Pitbull. 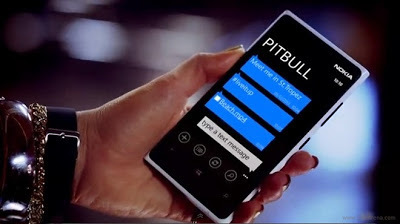 a clear visibility of the Nokia logo showcased at the beginning of the video (0:20 to 0:28) where Jennifer Lopez is having a conversation with Pitbull. At the time of publishing this post, the video has 7,820,590 YouTube Views across the globe in just about four days. Can’t you see its really Hot ? If you haven't seen the video, You can watch the video below and lets know what you think by using the comment box provided below.